Some say that this is one of the most seminal times in hypertension management. The milestone SPRINT clinical trial has brought forth changes in the 2017 ACC/AHA guidelines, reclassifying millions of Americans with the condition. Lowering the target systolic blood pressure significantly reduces risk for cardiovascular disease and stroke, research shows, but implementing the new standards into the clinic will not be easy. What is the best way to reliably monitor blood pressure in busy primary care clinics? How else might reducing blood pressure impact health? How can we ensure that diverse populations reap the same benefits? These questions and more were discussed at the Second Annual Translational Hypertension Symposium held on September 19 in Salt Lake City. 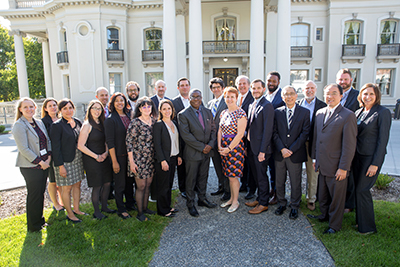 With a singular goal of leveraging the symposium to make an impact, the organizers created a unique, intimate setting where researchers and in-the-trenches clinicians could problem solve with leaders in the field. 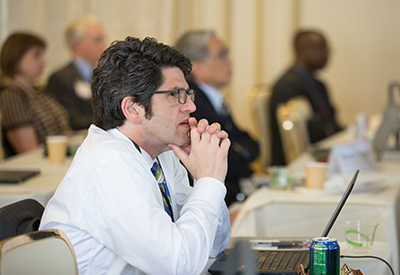 Talks were coupled with an early stage investigator workshop designed to train young faculty in hypertension data methodologies. The place to start was from the ground up. “There is a misconception that providers know how to take blood pressure accurately and they all do it the same way,” said keynote speaker Paul Muntner, PhD, professor of epidemiology at University of Alabama at Birmingham School of Public Health. But a study in which 159 medical residents were asked to take blood pressure measurements showed something quite different. It was difficult for even two of them to get the same results. This kind of survey demonstrates the vast difficulties with measuring blood pressure, Muntner explained. They range from patient preparation, to the type of device used, to interpreting the measurement. Daichi Shimbo, MD, associate professor of medicine at Columbia Medical Center added another variable: environmental context. 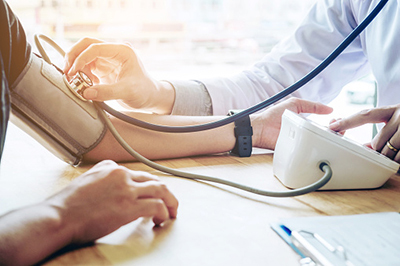 Whether blood pressure is taken at the clinic or at home, while sitting or ambulatory, can make the difference between categorizing someone as having hypertension or not. Although it is the least convenient answer, what’s clear is that many patients will benefit from measuring blood pressure in more than one setting. “We need new approaches to get people to measure blood pressure properly. We can do better,” said Muntner. Despite hurdles, the evidence that it is worth it to measure blood pressure accurately, and treat hypertension appropriately, continues to mount. The recent SPRINT-MIND study demonstrated that benefits extend not only to the heart but also to the brain. Patients that received intensive compared to standard blood pressure control had a reduced risk for mild cognitive impartment (MCI) and for a combined risk of MCI and dementia. The study’s lead statistician Nick Pajewski, PhD, associate professor at Wake Forest School of Medicine said the results likely underestimate the cognitive benefits of more intensive lowering blood pressure since SPRINT was halted more than a year early due to the cardiovascular and mortality benefits observed. Additional long-term follow-up assessments could reveal more. And yet even when results are ground-breaking, they are meaningless to individuals who don’t have access to consistent health care. Take blacks as an example, explained Ann Marie Navar, assistant professor at Duke University. They are two to three times more likely to die from preventable heart disease and stroke as whites. “A rising tide does not lift all boats when the some of the boats don’t float as well,” she said. Fortunately, cleverly designed research is coming up with innovative ways to improve access to different populations. When barbers measured blood pressure and encouraged their black customers with hypertension to be treated by pharmacists, 63 percent lowered their blood pressure to target levels within 6 months. “Patrons came to get their hair and blood pressure cut,” quipped Kathleen Lynch, PharmD, an author on the study and research pharmacist at Cedars-Sinai. Whether the approach works outside of a research context remains to be seen. Moreover, Navar noted, there are many underrepresented groups whose needs still have yet to be addressed. While the field is progressing at an exponential rate, there is still a long way to go. 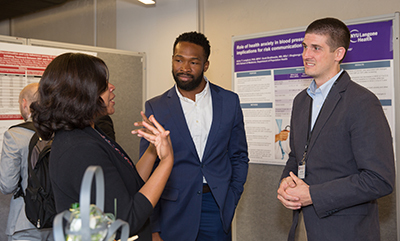 “Gathering together in forums like this one will accelerate translation, dissemination, and implementation of the latest evidence and stimulate new research endeavors in hypertension,” said symposium organizer Adam Bress, PharmD, MS, assistant professor of Population Health Sciences at University of Utah Health. All the more reason to return next year.